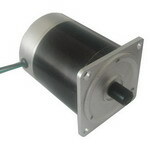 Rebeck Enterprise was founded in late 1991 as manufacturer of brushless DC motors. 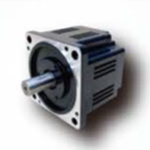 We are an ISO 9001 certified organization which implements strict quality control on every stage of production. 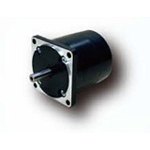 The factory is equipped with modern facilities that enables us to develop and manufacture brushless DC motor to the latest market demands. 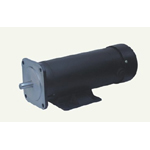 We are always in position of providing OEM solution at request of our customers except our current line of products. If we have to select two words as our slogan; responsibility and honesty are always our main concern. 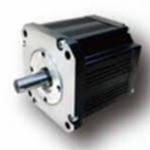 Guarantee in quality brushless DC electric motor products and service by taking 100% responsibility in discrepancy of delivery. Neither to sacrifice quality nor profit in obtaining order. 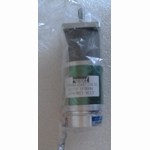 Not to accept any order with urgent delivery time beyond our control of quality. 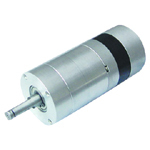 The brushless DC motor can be applied to wide range of applications, such as CNC machining, multi-joint robot, constant speed control, tracking systems, XY (Z) platform, institutional positioning (fixed speed) control, torque control, automation and control. 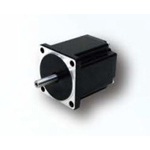 High efficiency can be applied to mechanical precision positioning. 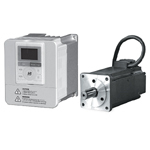 There are two types, semiclosed loop system and the closed loop system for absolute position detection, self-overload protection, general industrial machinery precision positioning applications.. 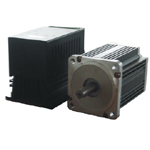 It is a synchronous electric motor which is powered by direct current electricity and which has an electronically controlled commutation system, instead of a mechanical commutation system based on brushes. 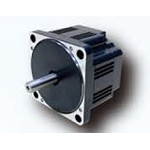 In such motors, current and torque, voltage and rpm are linearly related.The motor features long life time, high efficiency, low noise, low consumption, variable speed, and many more. Send your inquiry today!